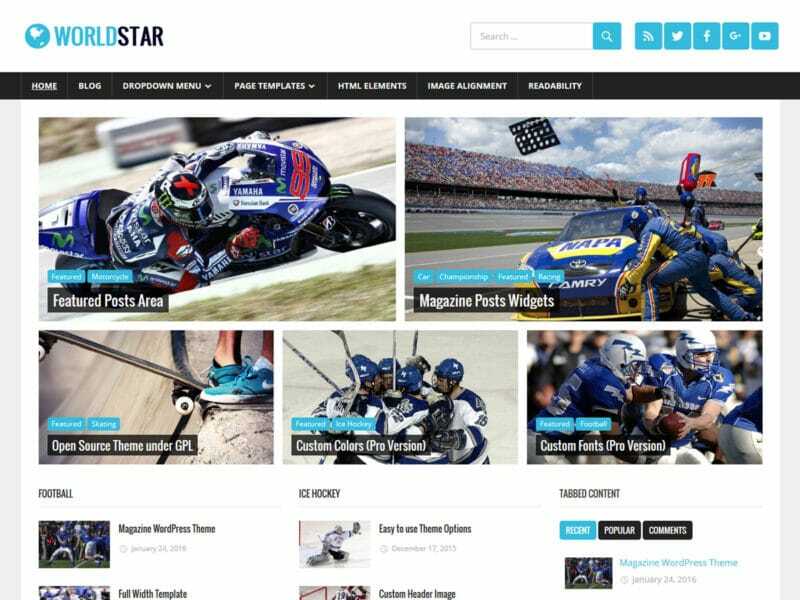 WorldStar is a clean and modern WordPress theme with a stunning featured content area to highlight your posts. The theme can be customized easily and supports a Magazine Homepage template. Start creating your WordPress website with WorldStar!